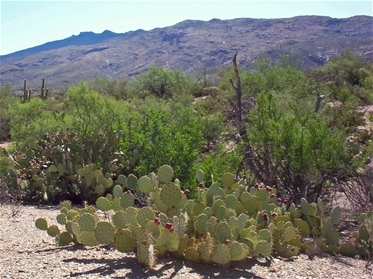 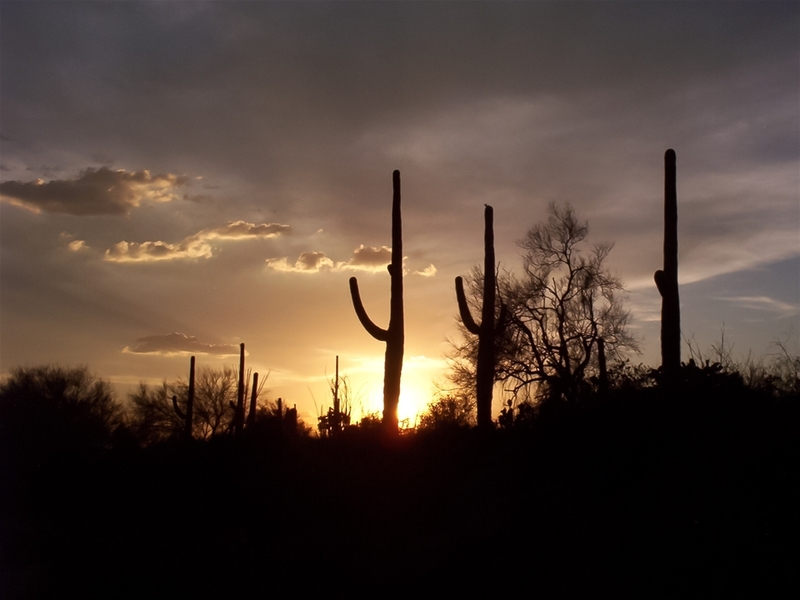 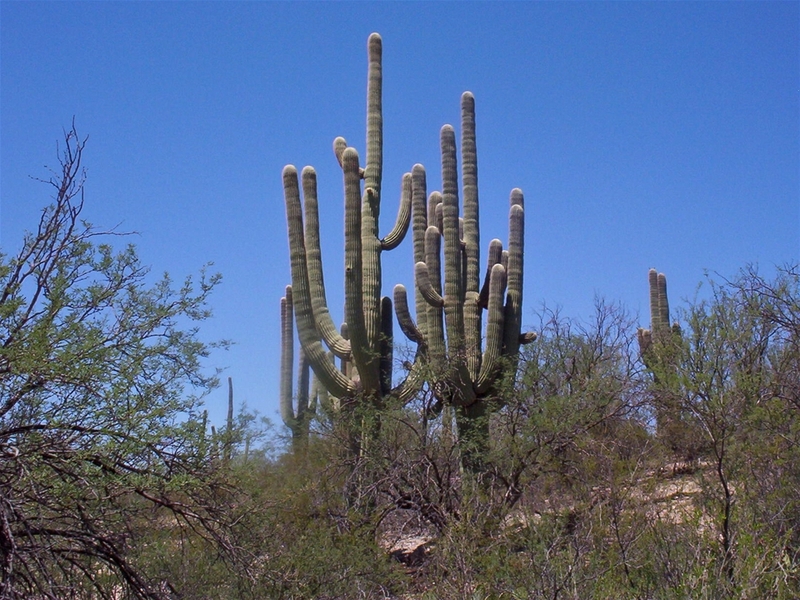 In the middle of the Sonoran desert of the southern U.S. and surrounding the city of Tucson lies groves of the mammoth Saguaro cacti. 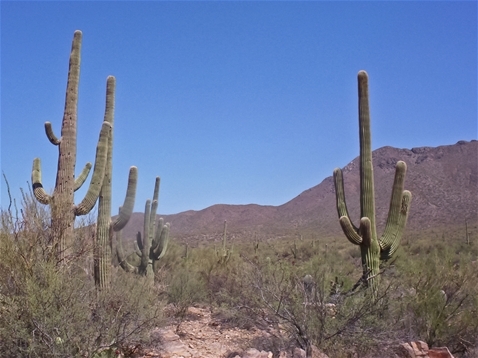 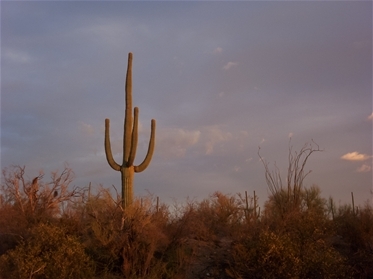 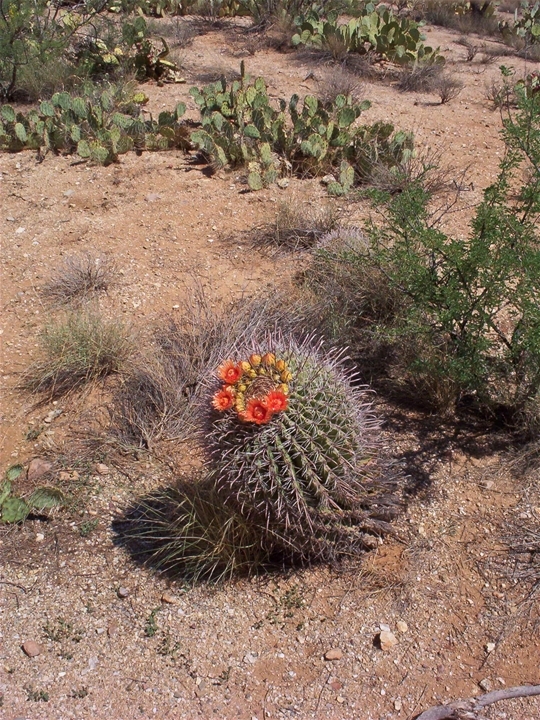 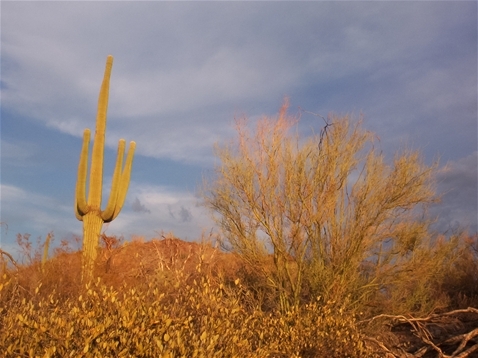 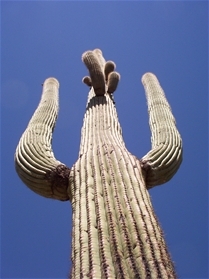 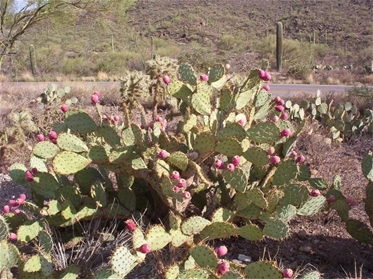 These range from 30-50 ft. tall when full grown and their famous arms can be larger than a human by the time a cactus gets to be 150 years old. 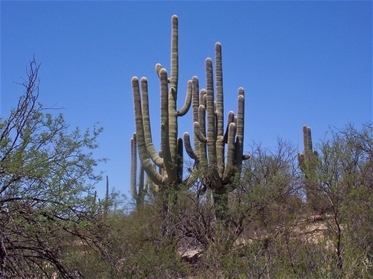 They are amazingly tall and quite resilient to the weather.